Home / personal / Speech: The Africa China Child turns 18 – What Next? Good afternoon distinguished guests, ladies and gentlemen! Thank you so much to Kente and Silk for organising this event, China-Africa Stories, and for the kind invitation to speak today. I must apologise that I was not able to join and hear the other speeches and panel discussions this morning, as I have a regular commitment on Saturday mornings that I only miss if I absolutely have to travel abroad. That commitment is to run “Safari Time” which is a class for small children, from the age of 3 months up to 4 years old, that I and my husband designed to introduce them to languages and cultures from all over the world, through nursery songs. The carers sing the songs and help the little ones move and dance, encouraging them to become global citizens from a very early age. Don’t worry, I won’t make you sing any nursery rhymes – though perhaps I should as I am the post-lunch speaker (!) – but instead I will share with you the story of another global child, who will, this year turn eighteen years old. That child is the Forum of China Africa Cooperation, or FOCAC. I see that many of you have not heard of it. Actually, it was the baby of a set of African ministers and ambassadors, in particular led by Madagascar, in the late 90s. The baby was finally born in 2000, here in Beijing. By then, there were other similar global children. The oldest was the African-French child, who was by then 27 years old, and the African-Japanese child who was 7 by the time the Africa-China baby was born. The Africa-China child’s 6th birthday was a very special year. Perhaps because 6 is such an auspicious number in China. 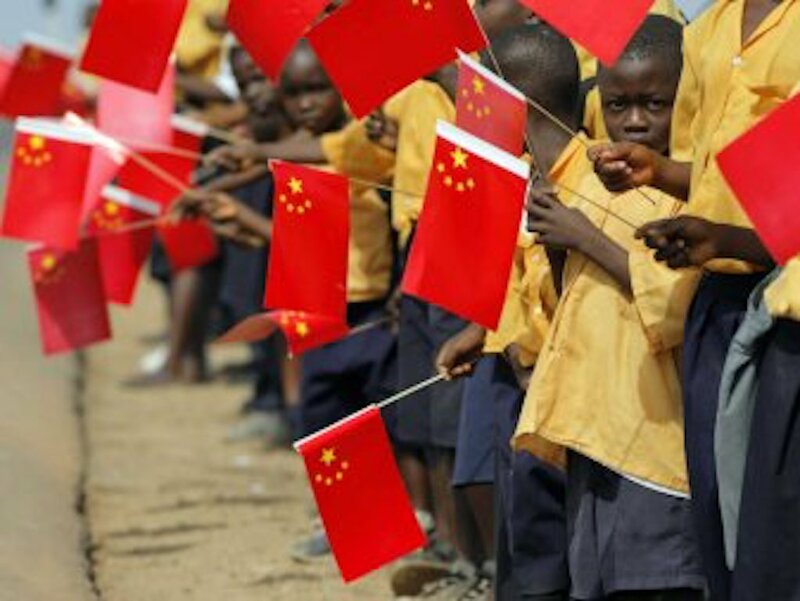 The child was promoted from a ministerial level endeavour to a Head of State level endeavour, and a new special equity-based fund was launched to commemorate the occasion, known as the China Africa Development Fund, and to be operated by the long-standing China Development Bank. Age 15 was another major milestone. The Africa-China child… well, now a teenager… travelled to Africa for the first time, and specifically to Johannesburg in South Africa. This was also a promoted, Head of State level meeting, and over 40 heads from Africa joined the party. I attended this party too, and the gifts revealed there were larger than ever. 60 billion US dollars in total – 35 of which were loans, 5 of which were straight grants, and the rest was to be disbursed through the CADFund and another brand new fund just for industrialisation – which was by then a major African development priority. The Africa-China child was promised 10 areas for specific cooperation – with specific promises for support related to agriculture to health to tourism and poverty reduction. By then, and with these gifts and promises, this 15 year old teenager was doing very well. The gifts and promises were much more significant than its predecessors had managed, and even its successors – such as India – by then 10 years old, and the US – who was only 4 years old at that point, were trying but not yet catching up. The party in 2015 really set some bold and high precedent. Now, in 2018, this child, teenager is about to transition into being an adult. In September, there will be another huge party, this time back in its place of birth right here in Beijing. What should happen this year? Well, when we talk of turning 18, we use phrases such as “flying the nest”, “growing up”, and such like. We expect, beyond 18, to have more complex lives, to take more responsibility for ourselves and not rely on others so much. We are expected to being thinking and investing in our homes, our families, our careers. No more nursery songs, no more school. It’s apprenticeships, internships, or universities instead. I am sure some ideas have already been shared this morning, for how the Africa-China child can progress. I know more will come up this afternoon as we have two further excellent panel discussions. But let me share with you briefly 5 ideas for what next – as a 15 year old myself in terms of my own career and interest in Africa-China relations is concerned. First, gifts are still welcome. All of you in the audience who are over 18 will remember that at 18 you did still want to get some gifts! Maybe smaller ones, sure. But you also needed some significant gifts – perhaps access to a trust fund to start a mortgage or pay your university tuition fees, or a new car to help you get into work or start a new business. The Africa-China grown-up will still have some long-term needs, which the right type of gifts can support. Second, part of becoming an adult is dealing with more complexity in life. Addressing and seeking to tackle deep-roots – like going on a gap year to expose yourself to hardship and do something meaningful, or starting to read non-fiction not just novels. The Africa-China child, as an adult, also needs to embrace more complexity. To tackle trade imbalances between African countries and China rather than simply aim to increase overall volumes. To ensure that Chinese companies actually invest and provide more foreign direct investment to African countries rather than build infrastructure they will never use, but that is paid for by Africans taking on debt. To dramatically cut visa costs and barriers for African people entering China, while continuing to attract Chinese people – especially tourists – to African countries. To have more regional engagement rather than un-coordinated bilateral engagement between African countries and China. Focusing on the structural issues will mean the Africa-China grown-up can actually support itself, rather than being dependent on parents or others in the community. Third, another aspect of becoming an adult is dealing with a wider range of people in different circumstances. From having a boss, to academic peers from other countries, to actually negotiating with a landlord. Becoming an adult means interacting with more people than your friends, parents and teachers. For 18 years the Africa-China child has been mostly interacting just with governments. Yes, at the 15th birthday party there was a big business party that joined, but those businesses mostly had very close relationships to government. At 18, the time has come to branch out. To engage smaller and medium sized businesses, to engage non-governmental organisations, students – the sorts of people in this room, in shaping and supporting its future life. That’s part of growing up. Fourth, one of the hardest, but most essential parts of becoming an adult is dealing with reality. At 18, many people around the world get the right to vote, they are allowed to drink alcohol or drive (though never at the same time! ), adoptees are able to find out the names of their birth parents. This sharing of reality – some degree of transparency is also important for the Africa-China child to be exposed to now. In the past, there were concerns that the Africa-China child could not cope with, for example, knowing exactly how the 60 billion has been spent. Concerns that some African children would say “its not fair” that the other got more, and they got less and vice versa. Well, now its time to put that childish time aside. There are always reasons for distribution, even if they don’t seem logical to everyone at the time. The Africa-China adult can cope with the reality, and needs understanding to move forward and make better decisions in future. Fifth and finally, one of the most exciting aspects of becoming an adult is the opportunity to chart your own way. To become a true individual, try out new paths. 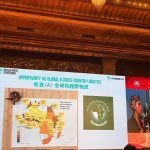 The Africa-China child, especially as a teenager, showed some great promise with talk of green growth, which has never been done before, better technology cooperation and so on. As an 18 year old, now is the time to put this talk into action. Now is the time to really leapfrog and innovate, especially if it joins the almost 5 year old, inspiring “Belt and Road” university. Whether its using renewable technologies for energy and transport, using smartphones and blockchain… the possibilities are endless and critical. But they also mean challenging, real choices and action by Africa-China stakeholders… to stop using coal, to adapt working practices and learn new code, new languages… Being a pioneering adult, even along the Belt and Road path, doesn’t come easy! Dear global citizens in this room, young and old, from African countries, from China, from beyond. Dear friends of the Africa-China soon-to-be adult. You will all have your own ideas for its future. You, we, are all its supporters, its champions as it goes forwards. If we were not we would not be here today. But being supporters means being good parents too. Encouraging and nurturing the teenager when he/she does well, and telling off the teenager when he/she does badly, helping him/her find a better path to improve. This is our responsibility. Today has been all about sharing stories. The global, Africa-China baby, born in 2000, has its own unique story. It has flourished so far, and has great potential to become an amazing adult. I hope we will all help it grow and deliver a bigger impact, especially on the close to 400 million people’s lives who are still in dire poverty on the African continent. There is such an opportunity here. In this way, I will close not using a nursery rhyme, but simply by using the three languages we use in Safari Time to say hello and goodbye to the little global babies – thank you, xiexie, and asanteni!